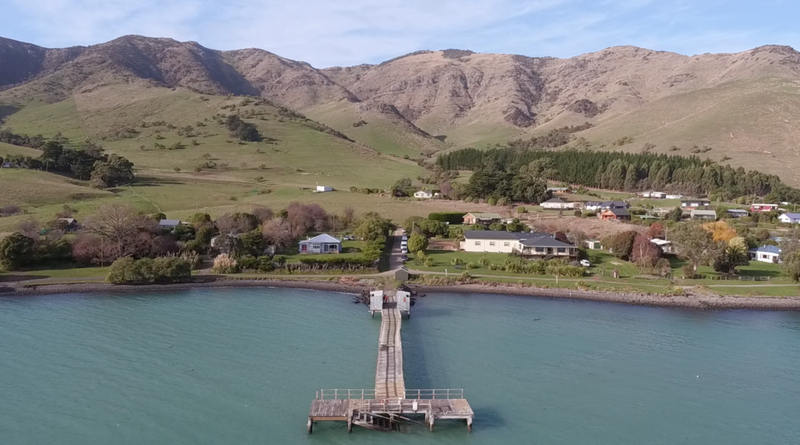 Koukourārata marae is located at Port Levy on Banks Peninsula. It is home to the hapū Ngāti Huikai, Ngāi Tūtehuarewa and Ngāi Tūhaitara ki Koukourārata of Ngāi Tahu. The wharenui is named Tūtehuarewa and was built in 1925. The wharekai was added to the marae in 2004 and named Te Pātaka o Huikai (the storehouse of Huikai) after the ancestor Huikai. The marae connects ancestrally to the waka Makawhiu and Uruao, the moana Te Arawhānui a Makawhiu and the maunga Te Ahupātiki. Koukourārata also has ancestral connections to the motu Horomaka and Pukerauaruhe. Koukourārata was the largest Māori settlement in Canterbury in the mid 1800s with a population of about 400 people. The chief Moki named the bay Koukourārata it is named after a stream in Wellington that recalls the birth of Tūāhuriri, Moki’s father and a principal leader of Canterbury Ngāi Tahu. It was once the home of Tautahi the chief after whom the swampland area we know today as Ōtautahi (Christchurch) was named. Koukourārata was traditionally occupied in three main areas: Koukourārata, Puari and Kai-Tara. After the fall of Kaiapoi pā, Koukourārata and Puari became the main centres of Ngāi Tahu activity in Canterbury. The pā was primarily occupied by Ngāi Tūāhuriri and the marae which stands today is called Tūtehuarewa, after a local ancestress. Koukourārata was also the site of the first Māori Anglican church. Today the church no longer stands, however a stone memorial on the site recalls its past significance to Māori of the area. Te Rūnanaga o Ngāi Tahu, Te Karaka and the Ngāi Tahu Fund recently teamed up with Maui Studios to create a digital story that focuses on the Pou that stand tall in Koukourārata providing a proud showcase of cultural identity and strong heritage for the area.